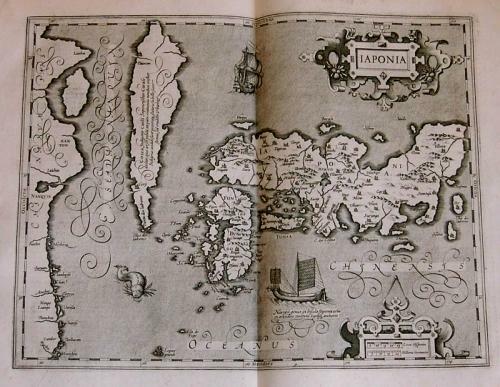 An ornate and richly detailed map of Japan from the Mercator Hondius Atlas of 1606. The map is in excellent condition with wide margins and no discernible faults. The shadow at the centrefold was caused by photographing the map.